Sometimes it feels like renters have no place in environmental initiatives. After all, most have little to no say about the kinds of features and upgrades their landlords make to their units. And you can’t very well install solar panels in your building or swap out your HVAC unit for a more efficient model without their say-so. But that doesn’t mean that apartment dwellers need to count themselves out of the upcoming sustainability revolution. Spurred on by increasing interest in eco-friendly appliances, features, and energy-saving devices, new complexes have been popping up across the country that bill themselves as green and net-zero. As a whole, these buildings generate at least as much energy as they consume. To do so, they take a novel approach to energy generation and efficiency, often through unique features like solar panels, window glazings, and passive designs, that you don’t ordinarily find on your run-of-the-mill complexes. Let’s explore this growing trend and take a tour through some of the most notable examples to date. First opened to tenants in 2014, the netZero Village in upstate Rotterdam, New York, is a truly innovative mixture of solar technology and passive design. Photovoltaic panels installed on carports provide electricity to residents, while solar thermal devices on building rooftops harvest solar radiation to heat water tanks. Each apartment unit features airtight windows and tight insulation to shield apartments from drafts and heat loss. The building itself boasts an efficient passive design that allows residents to take advantage of solar heat during the chilly New York winters. The units are long and narrow shaped, with large windows and glass on the south sides that increases solar gain. With advanced design, apartment dwellers feel more comfortable in their homes—without gobbling up more energy. Over 50 percent of Portland’s energy coming from renewable sources, so it’s no secret that this city loves anything green. That’s why it’s not surprising that Stumptown is home to one of the nation’s first net zero complexes, the EcoFLATS building in North Portland. The units come decked out with ENERGY-STAR rated appliances and efficient, design-friendly window treatments, with a $200,000 solar array that supplies residents energy use. The building’s design also helps meet its energy goals: each unit opens out to an exterior corridor, so there are less hallways and odd areas to heat and cool. The newly remodeled Hanover Olympic property is now the home to 20 net zero apartments in the heart of downtown Los Angeles. Each unit comes outfitted with a Nest thermostat and an iPad Mini energy tracker so residents can review their monthly energy consumption. And every apartment home has its own miniature 3-kilowatt solar array, saving residents an average of $100 a month in energy costs. The microwave, refrigerator, washer, and dryer are all ENERGY-STAR certified. Surfaces like recycled glass countertops and reclaimed wood flooring also up the units’ sustainability profile—and keep the interiors stylish and design-forward, as well. A splendid combination of green features and design, this pad is perfect for modern apartment living. 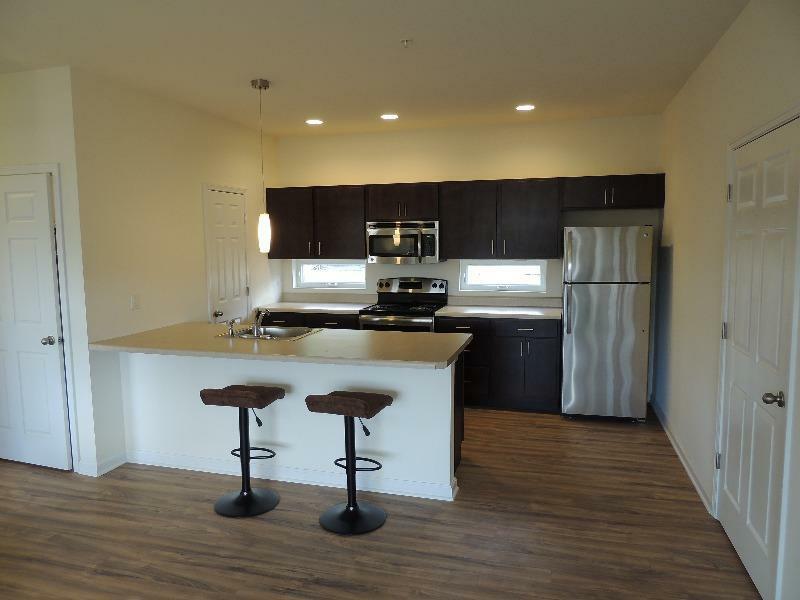 The first net zero apartment complex built in the Grand Canyon State, the recently opened Equinox community boasts a whopping 1,000 solar panels, Low-E windows, and ENERGY-STAR rated appliances. 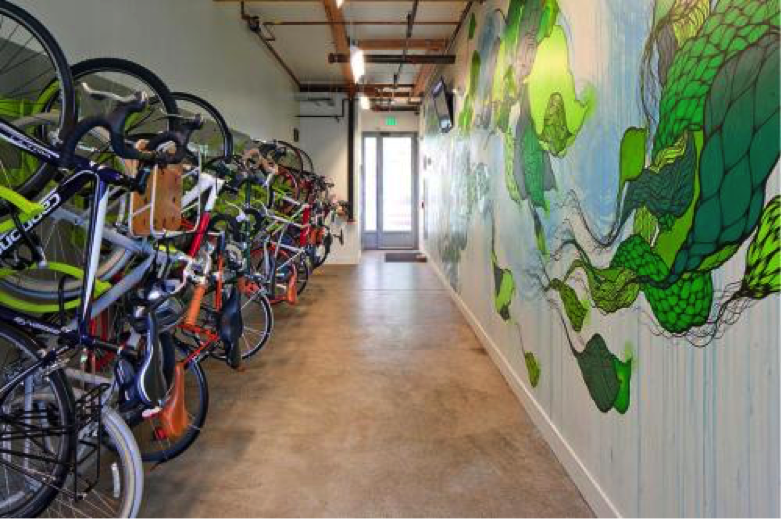 The outdoor parking lot even features electric vehicle charging stations for a head-to-toe energy lifestyle makeover. And with high 10-foot ceilings, LED fixtures, and USB outlets, the units are just the right mix of utilitarian efficiency and luxury design. 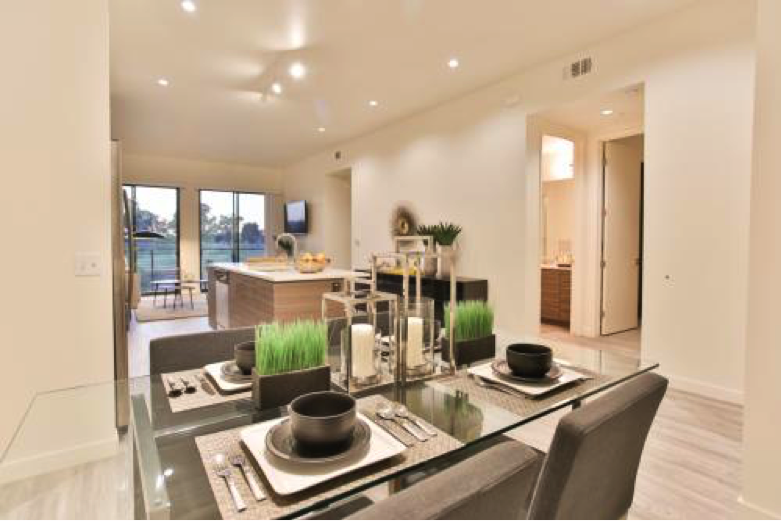 With energy-efficient features like these, apartment dwellers can be just as green as their homeowner counterparts. Coming soon to a complex near you!